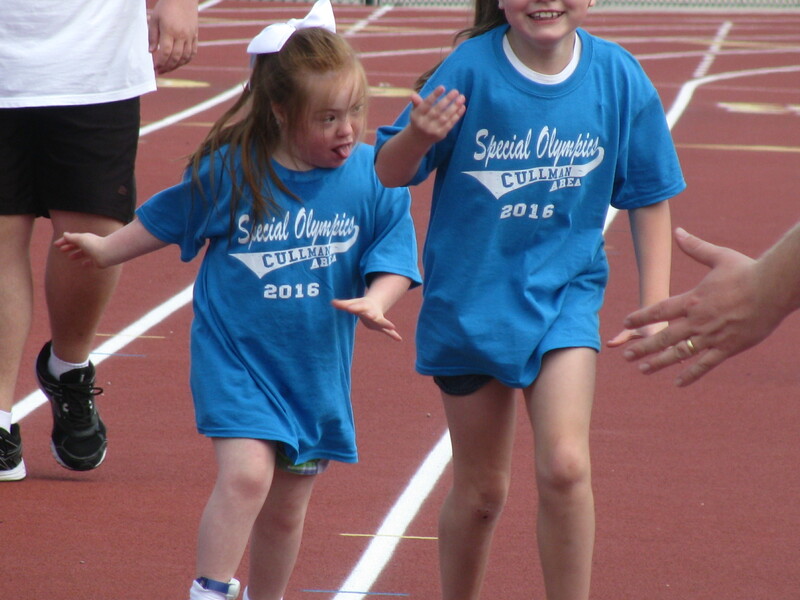 CULLMAN – It is not unusual to find Oliver Woodard Stadium, on the campus of Cullman High School, bustling with activity, both on the playing surface and the bleachers, but Tuesday’s event was a special kind of amazing: the Special Olympics. Athletes from all over Cullman County converged on the green turf and surrounding track at the home of the Bearcats to try their hand at several different events. Medals and ribbons were given out to the participants and judging from all of the smiles on the faces of these wonderful athletes, a good time was had by all. The voice of the Bearcats, Jimmy Dale, who also announces the Field of Miracles games, was on hand to announce the events and call the action. Area school Key Club members were also in attendance, helping the athletes to and from events and giving assistance to those who needed it. The Cullman Tribune was on hand to cover this wonderful event and we are honored to report the top athlete from each heat of each of the day’s events. The Cullman Tribune would like to congratulate each and every one of the participants in the 2016 Special Olympics here in Cullman. See the full photo gallery at http://qrne.ws/special.